Lamb stock has a wonderfully rich and sweet flavor. 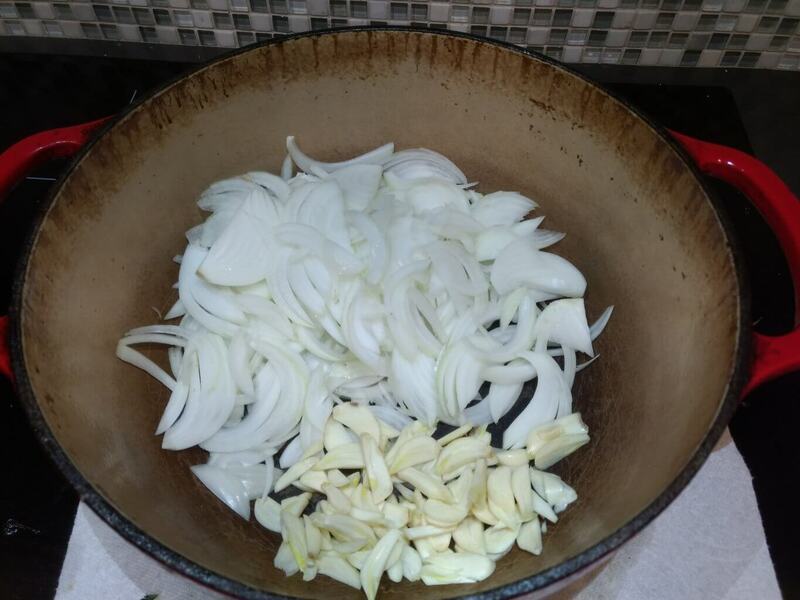 You can use it in place of beef stock in most recipes. Lamb stock is healthier for you because lambs are pasture raised while cattle are grain fed. 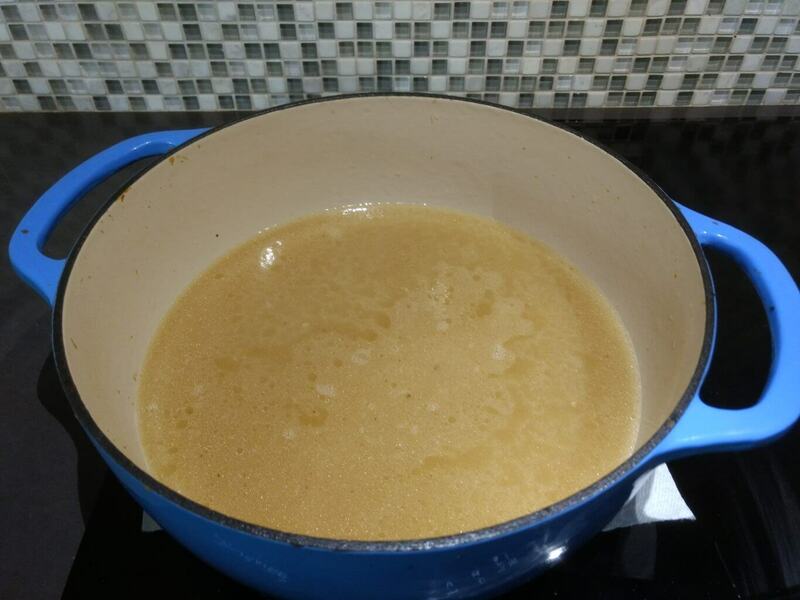 I use lamb stock most often for pan sauces. I’ll sear lamb chops in a cast iron skillet, move it to the oven to finish, then deglaze the pan and build a sauce using lamb stock, onions/shallots/garlic, balsamic vinegar and/or wine. 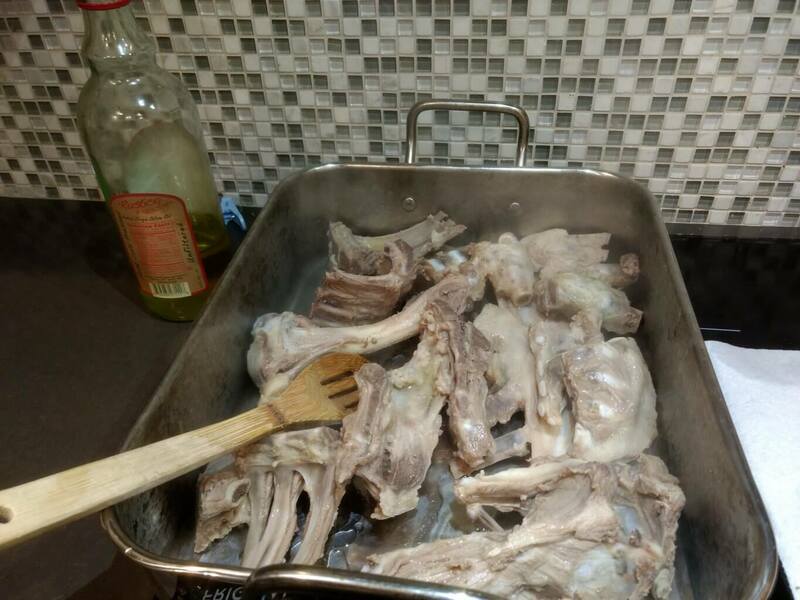 If you buy a whole lamb, be sure to ask for all the bones for stock making. Our most recent whole lamb included with 4lbs of bones. 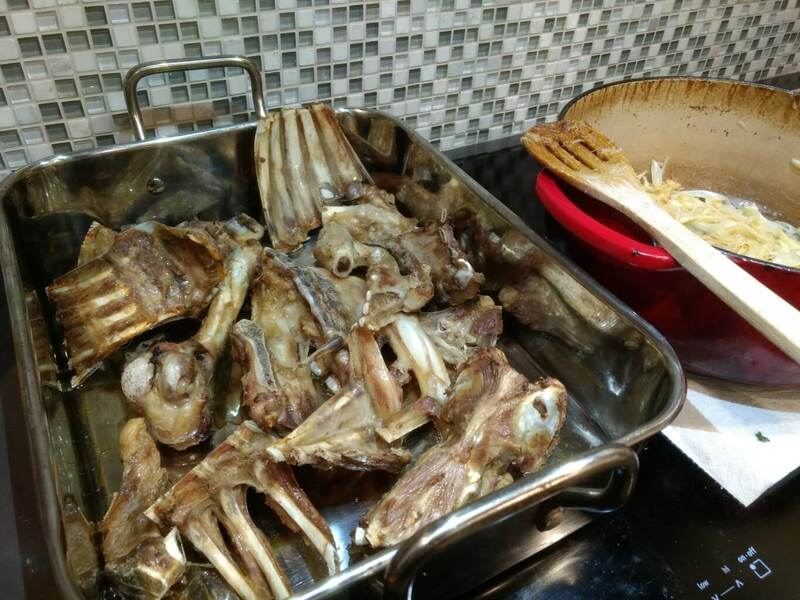 You can also buy lamb bones from Broken Arrow Ranch for $4/lb. You can easily scale this recipe down to whatever you have. 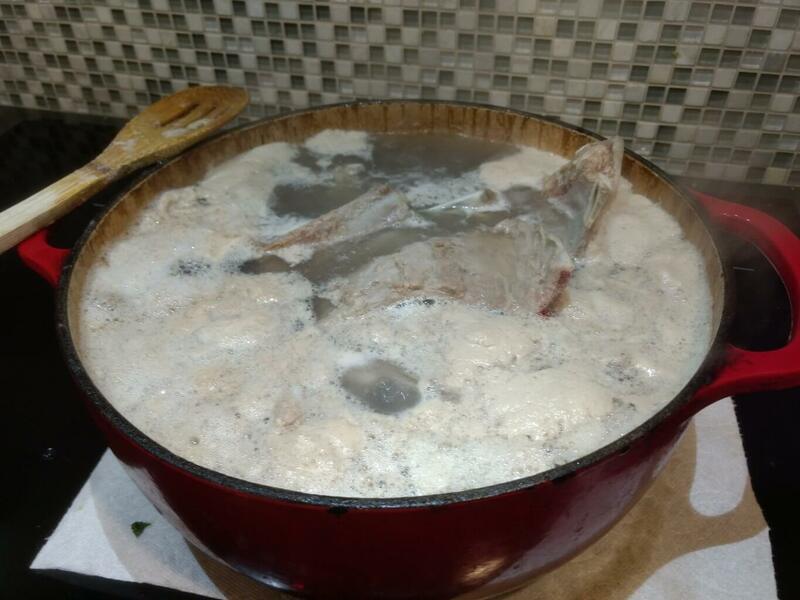 I got about 6 cups of stock from 4lbs of bones and 11 cups of water. I recommend keeping a ziploc bag in the freezer for leftover bones. After cooking lamb chops, rack of lamb, leg of lamb, or anything else with a bone, add the leftovers to the bag. 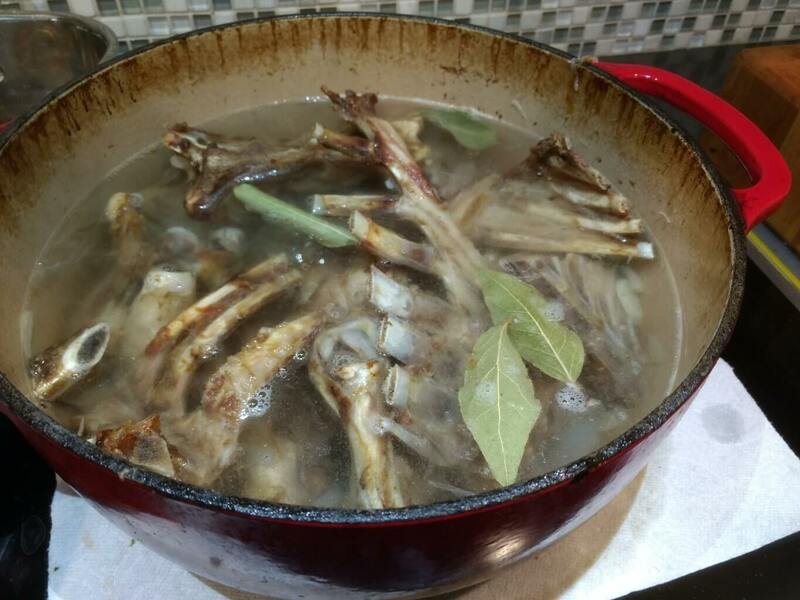 When you have 2-4lbs of bones, make a batch of stock. If you’re using raw bones, I highly recommend that you blanch them first, then roast in oven. 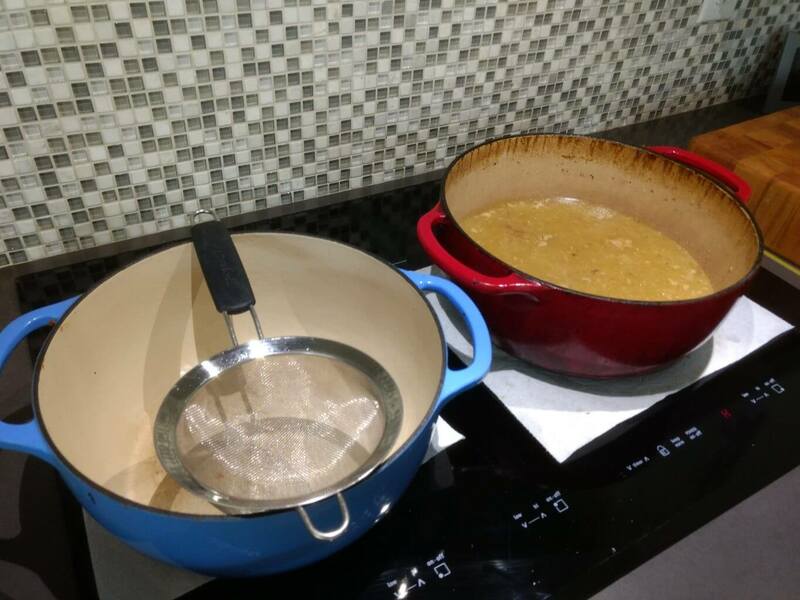 The blanching step removes impurities and saves you from having to skim the foam off the stock later. Roasting the bones develops complex flavors and gives the stock a better flavor. See this article for more information. You can skip these steps if you’re using bones from previous meals since they have already been roasted. 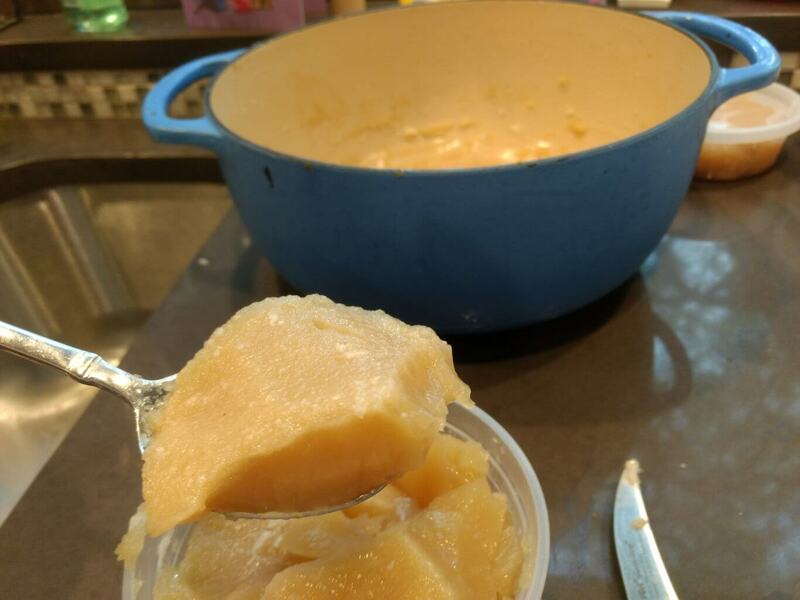 Using a spoon, scrape off the fat. Lamb stock has a wonderfully deep and rich flavor. 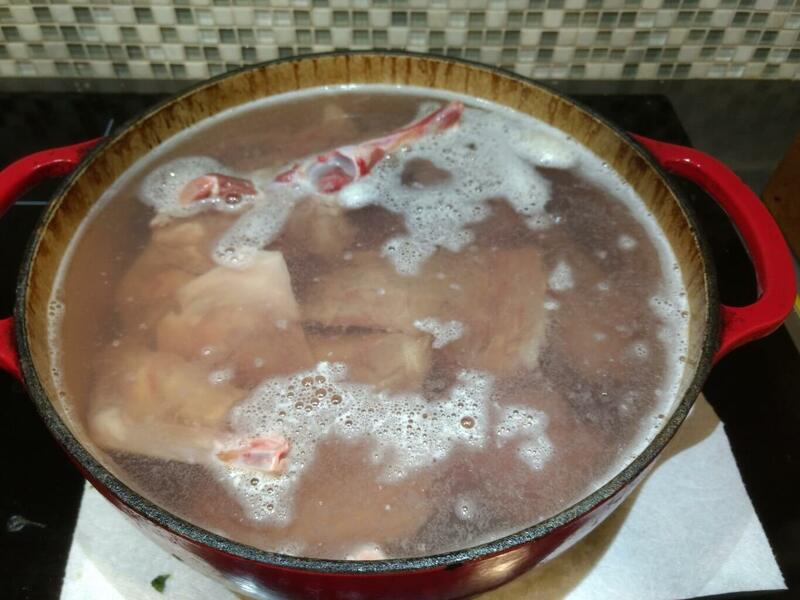 I'll show you how to make the best homemade stock you've ever had. 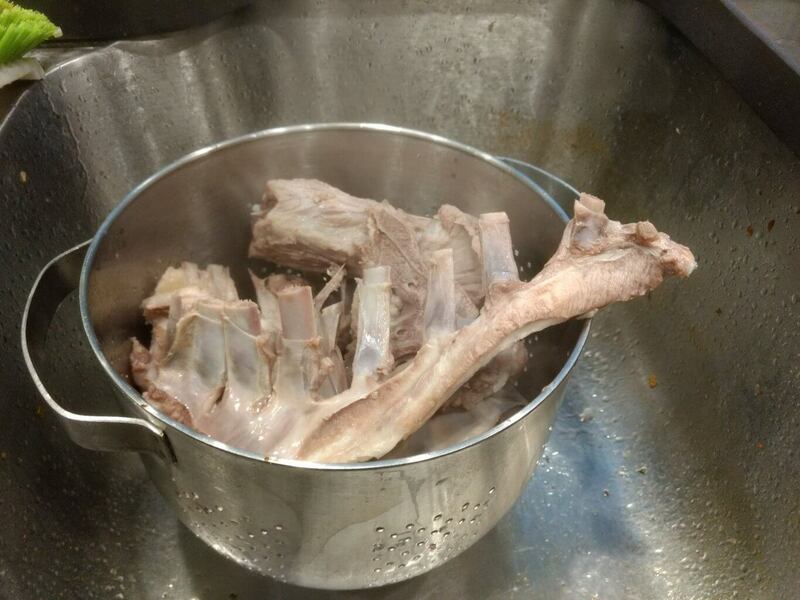 Place the bones in a large pot and cover with water. Turn the oven to 450°. Boil vigorously for 20 minutes. You should see white foam on the top. Pour through a strainer and rinse with cold water. Thoroughly clean the pot. Place bones in a roasting pan and coat with olive oil. Place in oven for about an hour - until they have a nice color. 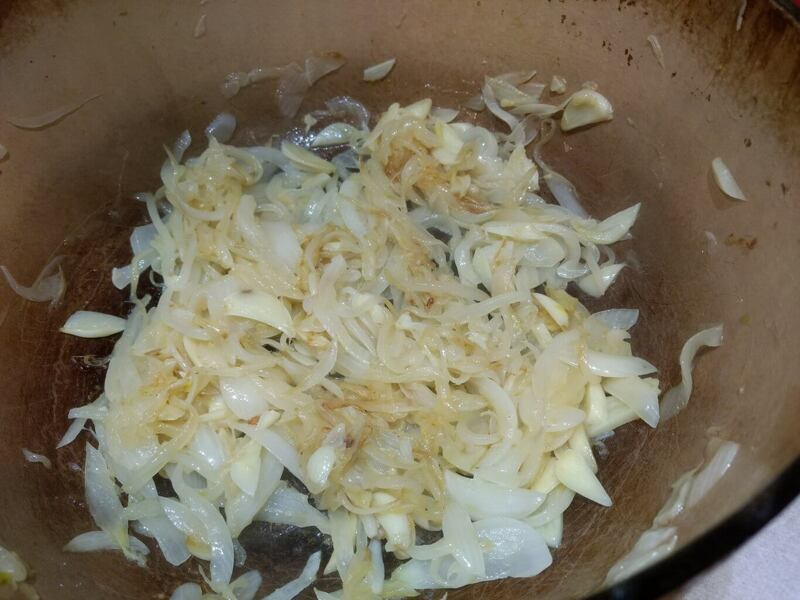 While the bones roast, slice the onions and garlic, then saute with olive oil until golden brown. 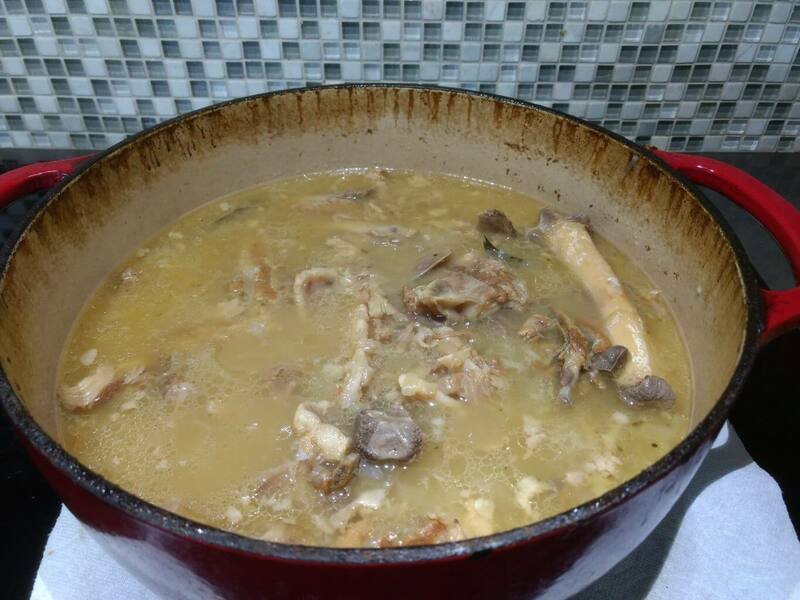 Add the roasted bones and bay leaves to the pot, then add just enough water to cover (I used 11 cups). 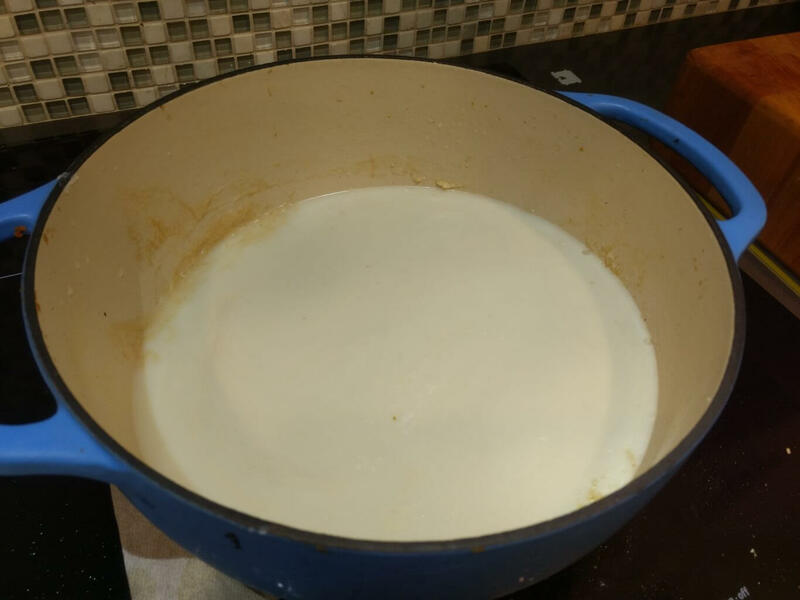 Bring to a boil, then lower the heat to a low simmer for 4-6 hours. Remove the bones using tongs, then pour through a fine mesh strainer to a smaller pot. Add the lid and place in refrigerator overnight. 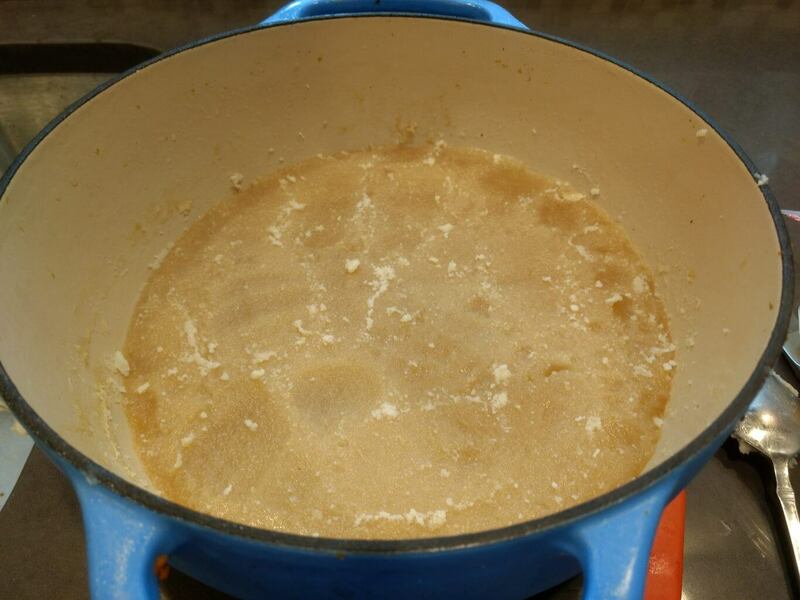 Using a spoon or knife, scrape off the layer of fat on top. The stock should have the consistency of Jell-O. If it's too watery, you may consider boiling to reduce. Place into containers and freeze until needed. I use these 1 cup containers which work great.